There are more than 200 ranking factors that affect –directly or indirectly- your rankings on search engines. Epigrammatically, some of these factors are the keywords in URLs, the title tags, the heading tags (the keywords that are included within the <h1> <h2> etc. ), the quality of the content (in other words, the fresh quality content within a website), the anchor text, the keyword density, the overoptimization, the level of keyword stuffing, (if you have) duplicate content, the quality of backlinks, the time spent on a website, the website architecture, are just some the 200 factors, or more that have an effect on your site’s rankings. All these factors ideally combined together can bring you optimal results. One relatively new factor that plays an increasingly important role –and probably in the near future, within 2013, an even greater role- are the social signals that come from social networking sites, microblogging services, social bookmarking services such as Facebook, Linkedin, Twitter, Pinterest, Instagram, Stumble Upon etc. 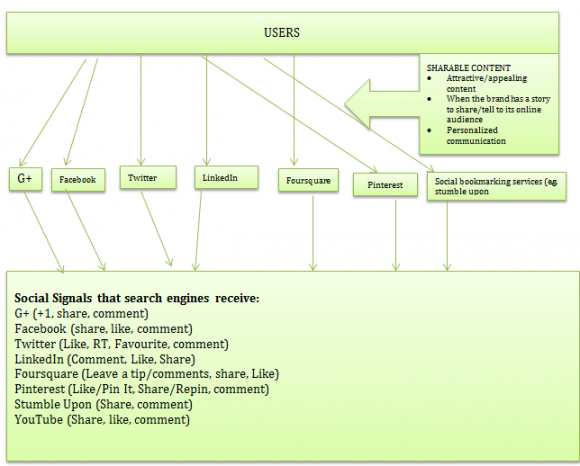 How do social signals work? In other words when a user posts a comment on Pinterest (depending on his/her influence within the online audience), he/she can further share this comment on Twitter and Facebook and reach an even greater audience and this audience (from Twitter, Facebook), can further reproduce and disseminate the original comment from Pinterest through their social media channels. Corporate account on Pinterest -> User leaves a comment on Pinterest -> The user can share its comment on Twitter& Facebook -> Some of the user’s (depending on his/her influence) friends and followers see the comment and disseminate the original comment through their social media accounts. As of 2010, major search engines like Google and Bing have publicly admitted that social signals are another ranking factor. This means that when your content is being shared by other users via social media channels, it consists of a social vote of confidence of users to your account. 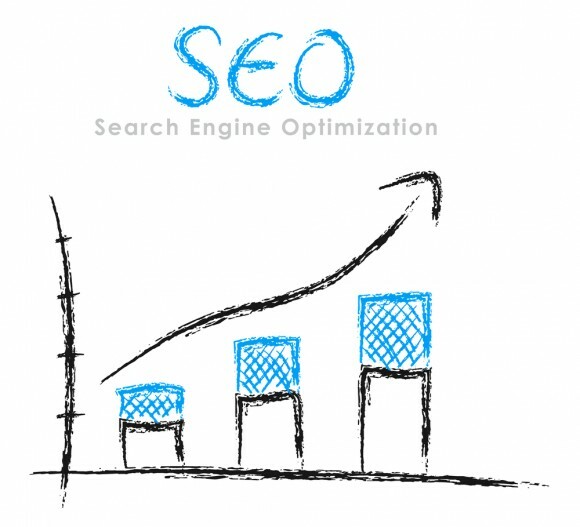 In order for a company to improve its social SEO position, there are 2 ways: through off-site optimization and through on-site optimization. There are more than 250 social bookmarking services throughout the web. 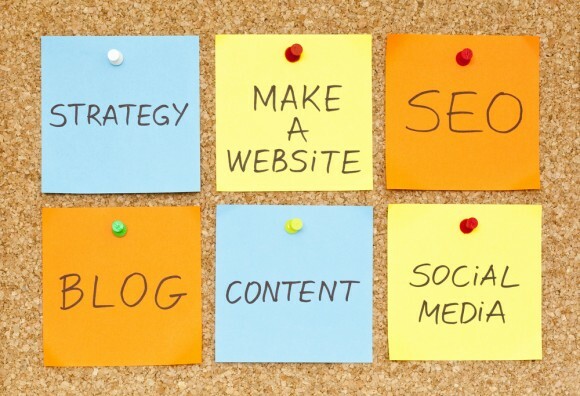 All these services promote content that is updated on a daily basis. If the content is promoted, and if other users find it interesting and worth sharing then it is likely that you will see a high spike on your graph line on Google Analytics and in some cases it is attributed to the high traffic that was generated (no more than 1 or 2 days) by social bookmarking services like Stumble Upon. Also, within the measurement of your social media optimization (onsite) you will be greatly helped by the WuzzRank Calculator of Web SEO Analytics which shows how popular your webpages are.